Ariel is best known as one of a guitar duo that make up Brothers Landreth. Along with Joey Landreth, David Landreth and Ryan Voth, the band won a Juno award in 2015 for their album Let It Lie. 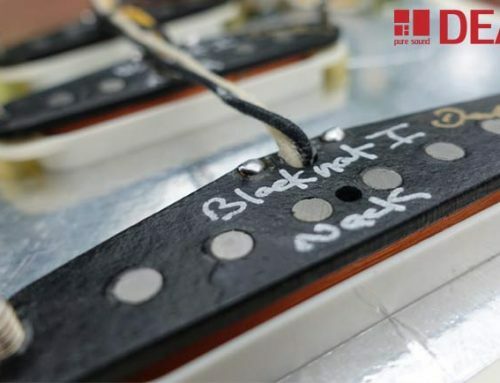 Ariel is currently based in Co Cork, Ireland, so we managed to catch up with him and see if he wanted to put some Deacci Pickups through their paces. In total there are 7 guitars and twice that number of pickups. So this video is the first in a series. The goal was for Ariel to help us showcase some of our pickups while testing out our new Ryan 100w Blues Reverb. Ariel also wanted to test out some P90’s, so we also had our Fat Juicy on standby. From the 50’s style ST-56 in this clip, to the vintage hot Blackhat II’s, stratocaster sets also featured throughout the day. 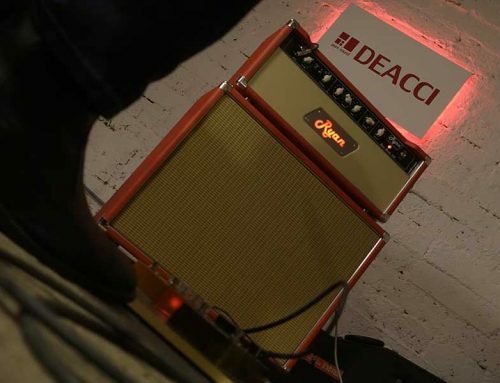 An invite to Cellar Club Studios, the loan of a Ryan Amps Custom 22, a 1963 Gibson Melody Maker, thanks to Jimi’s music in Dublin along with a stack of effects and a Ceriatone amp brought by Kieran Smith made for a very interesting day. A huge thanks to Ariel for taking the time to visit Deacci workshop and help us show off some pickups. In the end …. the playing and a true gentleman stole the show! You Want it When ?